Plot - This is a story of Chinese writer Xiao Hong from her childhood to her final days. 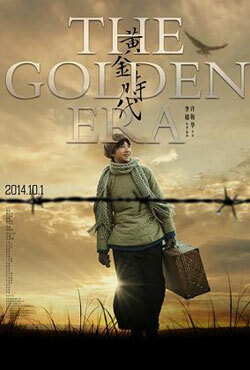 The Golden Era reflect the life story of a Chinese writer Xiao Hong, from her childhood in the Heilongjiang Province to her final days in Hong Kong’s Repulse Bay. The film is about the love of the author’s toward her life, newspaper editor Xiao Jun and the inspiration she drawn for him as well as from the surrounding written scene together a turbulent life in a turbulent time includes formation of Chinese Communist government and World War II. Awards & Nominations Won by "The Golden Era Movie"
Box Office Earning of "The Golden Era"